As we get closer and closer to our spring opening season, our luxury cabins are filling up with reservations. Families from all over are quickly discovering that a vacation in Ely, MN is like taking a break from today’s world and getting back to what life is all about. It’s easy to fall in love with Ely, MN because the scenic views alone belong on the cover of every travel magazine. 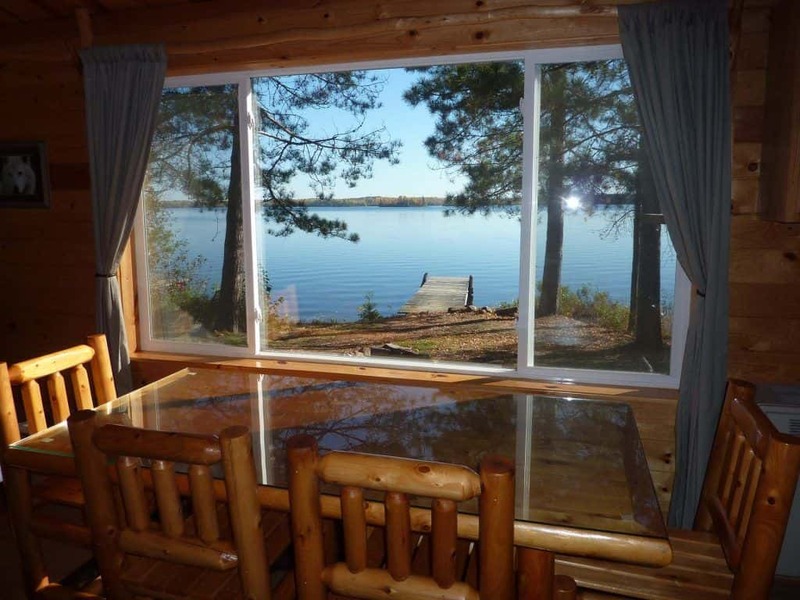 One of the best ways to take in those scenic views is by waking up every morning, fixing your coffee and looking out at the Boundary Waters through your picture window in a luxury cabin at Moose Track Adventures. 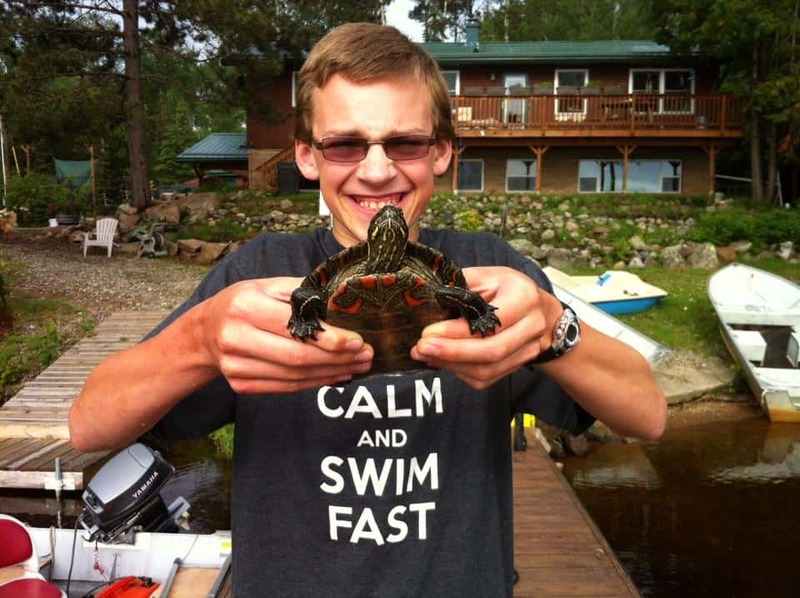 Moose Track Adventures wants everyone coming to Ely, MN to have a memorable trip that will keep you smiling for weeks! So whether you are hiking and camping on your Boundary Waters trip or you’ve decided to get cozy in our luxury cabins, the perfect getaway is waiting for you. The water’s edge is just 25’ away from the lakeshore. Each lakeside cabin has a private dock to keep your boat, a wood deck looking over the lake, Adirondack chairs, a charcoal grill, and a fire ring to keep you plenty entertained while outside. The inside of our cabins are modern and clean. We have new full-sized refrigerators, microwaves and gas stoves this season! Your everyday small appliances and kitchen necessities are all in place so that you can feel right at home. There is new log and pine furniture throughout the cabins along with ceiling fans in the living room and box fans in each bedroom. Extra blankets are offered in each bedroom as the Minnesota weather can bring a nice breeze in the evening. The vast majority of our guests don’t waste time lounging in the cabins for long. While it is a nice safe haven for resting, there is plenty to do at Moose Track Adventures. We offer lots of free maps of the White Iron Chain of Lakes. This is over 11,000 acres of water that is yours to fish and explore! Boat, motor and canoe rentals are available throughout your stay, along with professional fishing advice and guided fishing and canoe tours. We have direct access to BWCA from our docks and have all the fishing equipment, gear, and live bait that you could possibly ever need to enjoy a day of adventure in the great outdoors. We also have a beautiful new main dock great for fishing with the kids, along with a natural sandy beach and play set for kids to play all day. There is no end to the fun and adventure at Moose Track Adventures. 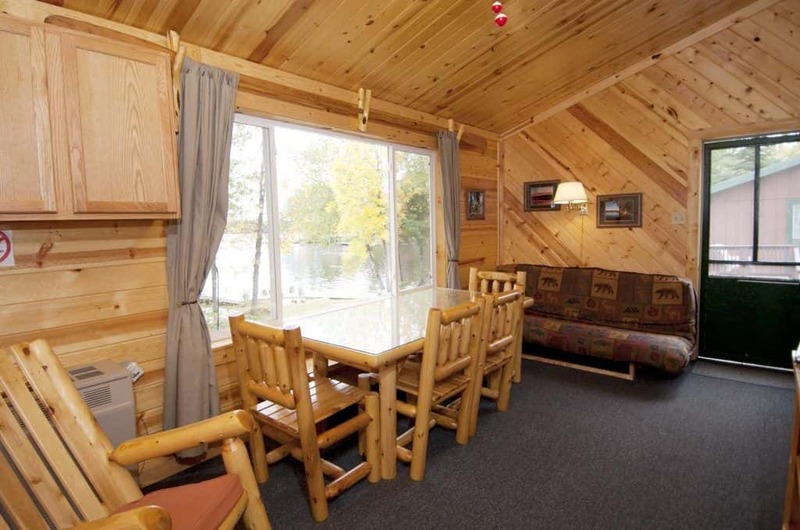 For more information or to book your Ely, MN luxury cabin today, give us a call at 218-365-4106.